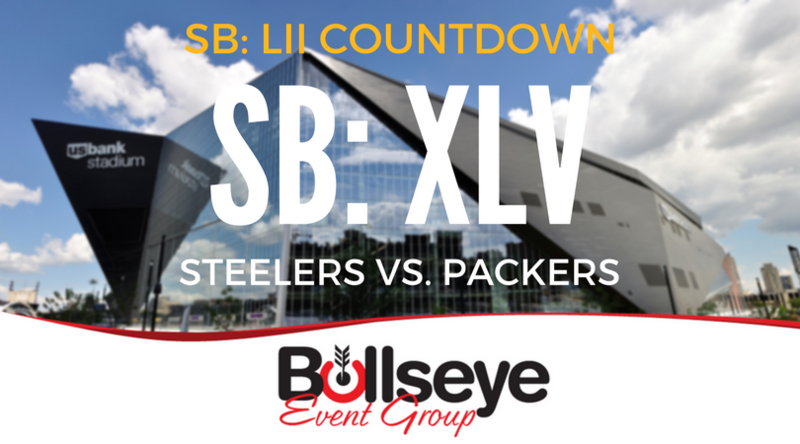 As the Pittsburgh Steelers get set for their divisional matchup against the Jacksonville Jaguars on Sunday, we’re looking back at Super Bowl XLV on the Road to Super Bowl 52 in Minneapolis, between the Steelers and the NFC-champion Green Bay Packers. Played in front of 91,060 fans at the home of the Dallas Cowboys, AT&T Stadium in Arlington, Texans, Super Bowl XLV between the Packers and Steelers was one of the most exciting Super Bowls in recent memory. Head coach Mike McCarthy and the Green Bay Packers would take home the Lombardi trophy, by a final score of 31-25. Super Bowl XLV MVP honors were awarded to Packers quarterback Aaron Rodgers, after completing 25 of his 39 pass attempts for 304 yards and three touchdowns. The Packers came out of the gates firing in the first half, building a lead that would prove to be insurmountable to the Steelers, eventually winning Green Bay the game. Popular artist Christina Aguilera sang the national anthem before Super Bowl XLV, with the halftime show returning to it’s hip-hop roots with the Black Eyed Peas, Usher and Slash. FOX Network broadcasted Super Bowl XLV, with announcers Joe Buck, Troy Aikman, Pam Oliver and Chris Myers handling broadcasting duties. The cost of a 30-second commercial in Super Bowl XLV rose to $3 million.